After last night, I am more convinced than ever (and this has been on my mind since the jump) that Fox’s The Following would be better off if they could just Edgar Allen Poe references. Perhaps the Poe conceit had the ring of serious drama back when the pilot needed pitching or before the always-compelling-if-a-little-under-appreciated Kevin Bacon was signed to anchor the tale. But up and running, the show’s weakest moments have invariably been those pesky Poe-isms, from the way-heavy-handed “nevermore” written in blood on a garage wall to last night’s needless references to the Poe-inspired paintings of one of the baddies and to the Poe-inspired nom de guerre of another. 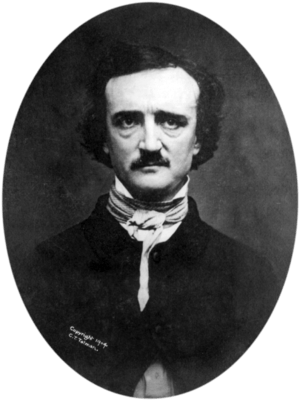 The idea that a Poe expert would be inspired by the author’s extended meditations on the relationship between death and beauty… well, ok: plausible enough. How nice it would have been, all the same, to leave the Poe as the point of inspiration for the sociopathic genius behind it all. That way the rest of us would not have to sit through a dutiful recitation of Poe factoids and quotations in each episode. It’s pretty bad that these literary nuggets are usually apropos of nothing, inserted needlessly into moments of tension that would be better served without them. It’s worse that the characters have to follow each one of them with a lame, pedagogical moment to make sure the audience knows that we have just received our weekly dose of high culture currency. It’s a little condescending and a lot stilted. A “pop up video” approach would have been about as subtle. I rant because I care.